Olowogbogboro | Thoughts of a Calabarboy. 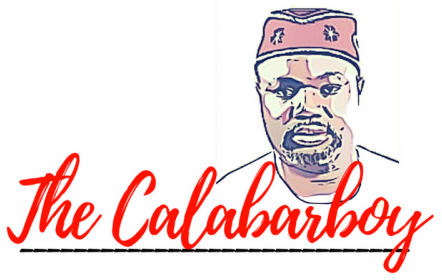 Olowogbogboro – Thoughts of a Calabarboy. #HalleluyahChallenge #Olowogbogboro: What really happened? A major mistake we might make is to assume that the many miracles and salvations witnessed with the #HalleluyahChallenge are the purpose and end-all to this spiritual movement. It’s almost like assuming that entering Canaan was the ultimate purpose of God for delivering His people from Egypt. This will be a severe limitation of the Source of all Power. Thinking this way is not usually overt. That thought lies or is implied in the way we behave going forward after such a refreshing to the hearts of many. We move on to others things as though we merely visited the market, came home, put everything in the pantry and that’s it. Spiritual moves are never like that. They are not momentary neither are they transient. Most times, we are limited in our understanding of the full scope of the Father’s intention when he initiates such moves. Let’s not forget that all prayers, revivals, refreshing, or any form of spiritual movements is first initiated in Heaven; born out of the Father Heart and Goodness. It is then committed, in partnership, to the hearts of “faithful men who will be able to teach others” (invite or reach others as the case may need).